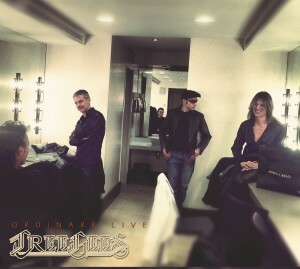 and an acoustic studio version of Ordinary Lives, a Bee Gees 80' hit single. New Release of the "Live at the Gewandhaus” album! 18 Bee Gees all time greatest hits recorded live in Leipzig. 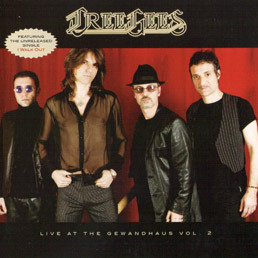 Live at the Gewandhaus is the new great TREE GEES double live album ! The concert covers the brothers Gibb career from their start in the 60s through the last 90s and includes some specials as a tribute to Andy Gibb (Shadow Dancing) , the famed duet Gibb – Streisand “Guilty”, and the Celine Dion’s hit “Immortality” with Xenia Lane as the guest performer. More than “One night only” the band takes inspiration from the first ever-live Bee Gees album “Here at last..Bee Gees..live” .Indeed, this live album encompasses all of the Bee Gees trademark arrangements, including a five song medley finishing with the opening sequence of the ’77 live “I’ve gotta get a Message to you” and “Love So Right”; the second part of the show is a collection of smash hits from “Jive Talkin’” to “Night fever”, from “Tragedy” to “If I can’t have You” ( never heard before a bee gees live version):as encore a paired down bluesey version of "To Love Somebody” before the final explosion of “You should be dancing”. A very respectful and faithful tribute to the Brothers Gibb. I Walk out is an original song entirely written and produced by the Tree Gees, in the Gibb’s unmistakable style of the late seventies. 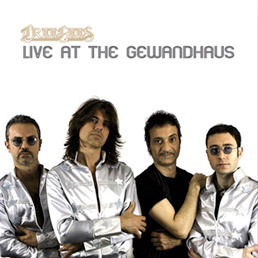 The song was released in 2006 and has been programmed by most of italian radios; it was later put in the playlist of the second volume of Live at the Gewandhaus, in a brand new version. The legendary Bee Gees are no longer active for many years; Tree Gees in addition to bring their music on stages throughout Europe, free itself from the limits of a classical tribute–band work also writing and producing original songs: "Love me at christmas" was written with the collaboration of Bruno Zambrini, composer of several hits from the past 40 years ,and was originally produced for the movie "Christmas in Love" of a few years ago. To celebrate 14 years of activity The TREE GEES have produced a new catchy version.